BMW recently announced that upgrade work on its Hams Hall engine production facility in the UK was completed. We spoke to Ilka Horstmeier, senior vice president, production engines and electrified powertrain, about the factory and BMW's engine strategy. What makes the Hams Hall factory different to other factories? The Hams Hall plant in the UK is located just outside Birmingham [in the West Midlands], a region with a strong heritage of engineering and manufacturing. It was the BMW Group’s first engine plant to be built outside of Germany and Austria and it has a successful 14-year history of manufacturing small, low emission, fuel efficient engines in the UK. The plant is playing an increasingly important role in the BMW Group’s global powertrain network. The recent investment puts the plant on par with BMW Group’s other engine plants, and together, across the network the same family of highly efficient three-, four- and six-cylinder engines are produced. The plant also machines key engine components and for the first time will deliver them to other engine plants in Munich, Germany, and Steyr, Austria. At Hams Hall, engines are supplied predominantly for Mini, but the plant is also the exclusive supplier of three-cylinder engines for the i8. 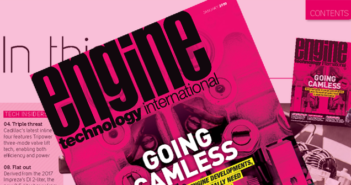 What challenges do next-generation engines bring with them in terms of design and assembly? Production derives from product. Our next-generation engines have to fulfill legal emission guidelines on the one hand, and offer BMW Group’s dynamic driving pleasure on the other. At the same time, we have to deal with increased complexity in production deriving from growing globalization and volatile markets. Therefore adaptability and flexibility will be vital for production in the future. With our latest generation engines of three-, four- and six-cylinder high-tech petrol and diesel engines, we have made an important step in the right direction. They have a standard design, a high amount of common parts and a uniform process for manufacture. That means we were able to utilize synergies across our network and optimize production between our plants. We have now installed a highly efficient production system and we can react quickly to customer demand. Theoretically, we could produce every engine of this latest generation at every plant. Does production feasibility lag behind what powertrain specialists would like to be able to build? The art is to get to the optimum [place]between a feasible production concept, which works on a global scale, and pushing for realizing the latest high-tech solutions. We are continuously working to improve and refine our products as well as production systems. Our latest Efficient Dynamics family of diesel and petrol engines shows that it’s possible: we introduced a highly flexible, standardized production system at all engine plants and used the latest high-tech solutions at the same time. The key is to focus on network synergies and coordinate best practices throughout the whole network. Therefore, the set-up of our international state-of-the-art production system was done in an extremely time- and cost-efficient way. How have powertrains changed since the factory was opened? The Hams Hall plant first opened in 2001 and the engine first built there was the result of an innovative design and manufacturing concept. 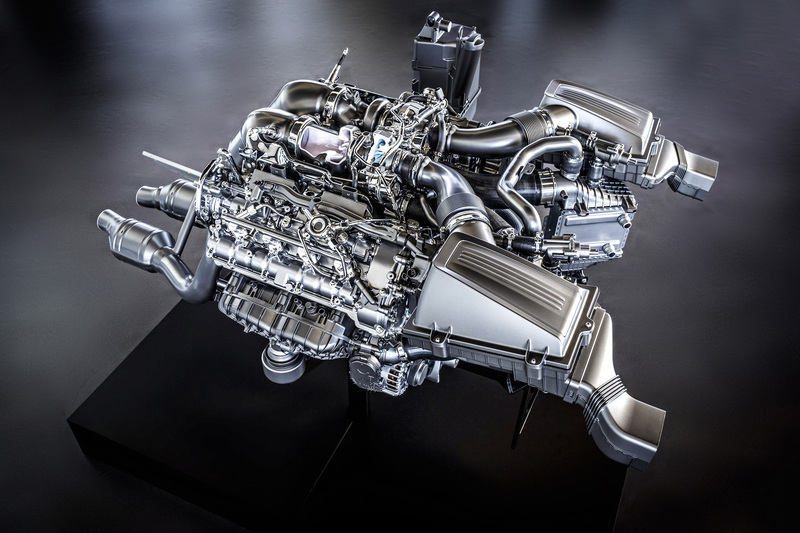 This engine featured the Valvetronic technology  a variable valve lift concept  which set new standards in significantly reducing fuel consumption (by at least 10%) and lowering exhaust emissions, but maintaining the typical BMW refinement and dynamic drive performance. This technology has been further refined over the years. Our latest engine family of three-, four- and six-cylinders features the TwinPower Turbo technology as a basic: TwinPower stands for a combination of variable load control with state-of-the-art injection technology and comprises fully variable components such as Double-VANOS seamlessly variable camshaft timing, Valvetronic variable valve control and/or VNT [variable nozzle turbine]turbochargers on the diesel models. These are complemented by high-precision direct injection on the petrol models, with common-rail direct injection on the diesels, and finally by the third element in this high-tech concept, namely turbocharging. A standout feature of the petrol models continues to be Valvetronic throttle-free load control, which puts BMW TwinPower Turbo technology well ahead of competitor concepts  in efficiency among other things. 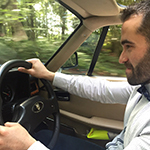 We see further major potential with the conventional powertrain (Efficient Dynamics) and at the same time continue with the systematic electrification of our vehicles. This is why we are continuously working to improve and refine our internal combustion engines. Simultaneously, we are diversifying our product range with both small- to medium-sized battery electric vehicles and plug-in hybrids. The development of the BMW eDrive technology started with BMW i and is now also used for BMW Group’s conventional vehicles. Hams Hall plays a key role in the network as the sole supplier of three-cylinder engines for the i8. Are you proud when your engines win awards and recognition, such as the International Engine of the Year Award 2015? Nothing spurs you on like being praised for what you do, so of course we are very proud to be given such an award! Our BMW i8 unit was voted class winner for its BMW TwinPower Turbo three-cylinder petrol engine, while the overall drive unit of the BMW i8 claimed a further class win as the best “new engine”. Its combination of electric motor and petrol engine also earned the overall victory. In the 2.5- to 3-liter displacement category, the M TwinPower Turbo six-cylinder in-line petrol engine of the BMW M3 and BMW M4 came out on top. What a success! The teams at our engine plants celebrated their victory; it gives credit to our aspiration to produce the best engines, offering dynamic driving pleasure while at the same time being extremely low on fuel consumption and emissions. What more could spur us on?